This blog post was sponsored by Stonefire but the opinions are completely my own based on my experience. Are you ready for game day? We love enjoying the big game with friends and family but to be honest its mostly a fun excuse to throw a party and eat some yummy food! While our party menu is pretty traditional and doesn’t vary much from year to year, I like to try out new dessert ideas. In our home, we loving using Naan to replace traditional bread in our sandwiches and recipes. It’s become a favorite of the kids especially on those busy weeknights. 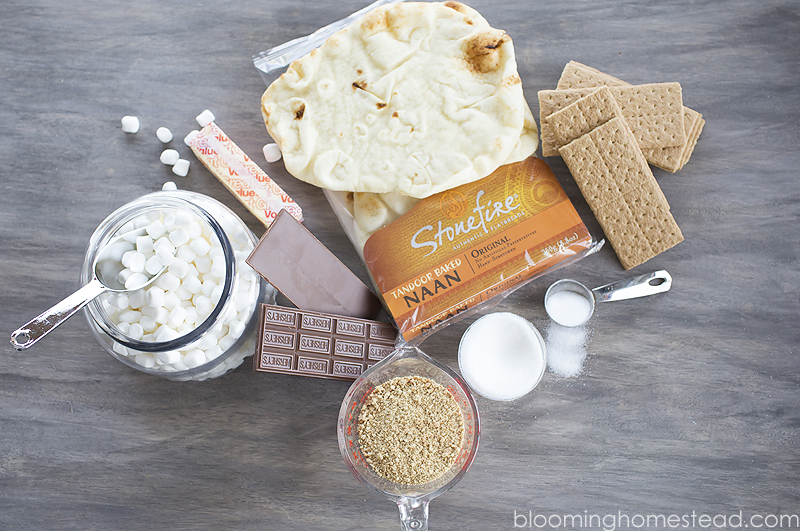 While we use Naan for a lot of our savory favorites, it also makes a terrific base for sweet treats which inspired this S’mores Bites Recipe I’m sharing with you today. 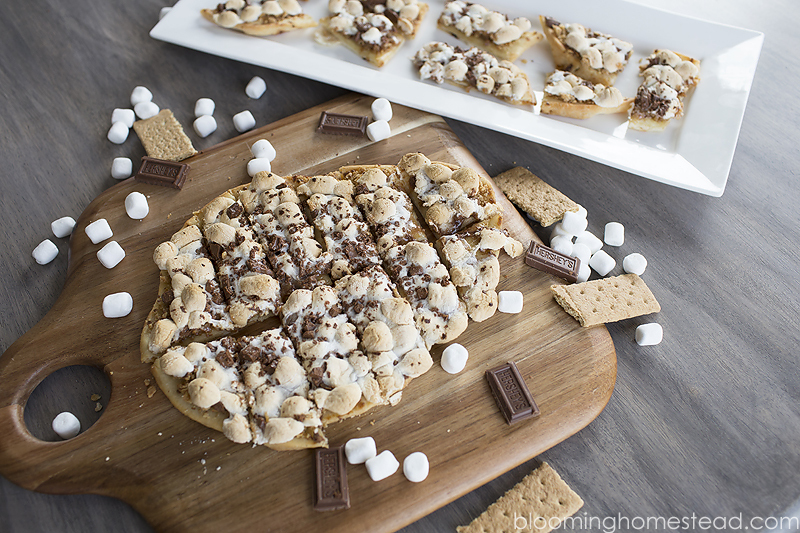 Not only are these delicious, but they are simple to put together and deliver that authentic S’more taste. Not only am I sharing this fun recipe today but I’ve also got some tips to make your party a success. Finger Foods are best: Eliminating utensils will make your game day run a lot smoother from serving to cleaning up. We’ve found that everyone enjoys sampling bite sized finger foods while cheering on their favorite team. Set up a buffet station: Serving up your game day goodies buffet style makes it easy for your guests to fill their plates with delicious treats throughout the game from kick-off to post game. Keep ice under dips or cold cuts that need to be stay chilled. Not only will your guests love sampling foods throughout the duration of the game, but you can also use the buffet station as a way to add a pop of decor and game day spirit by adding a fun tablecloth and a few banners. Keep things simple: Remember that while you can really go over the top with decorations and food, determine where your time and energy will be best spent. I often find that keeping things simple makes for a more enjoyable day all the way around. 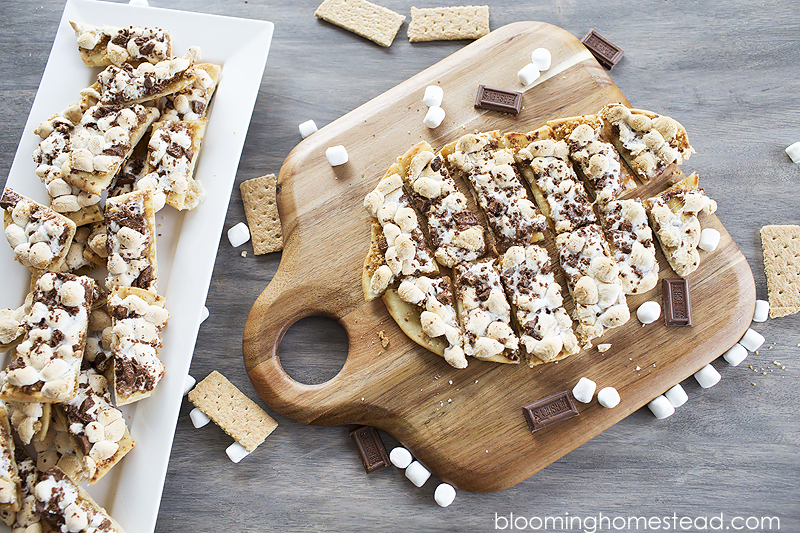 Plus you can’t go wrong with the classics like pizza, chips and dip, and of course these yummy S’more’s Bites! You’ll start by melting butter and spreading it atop the naan. 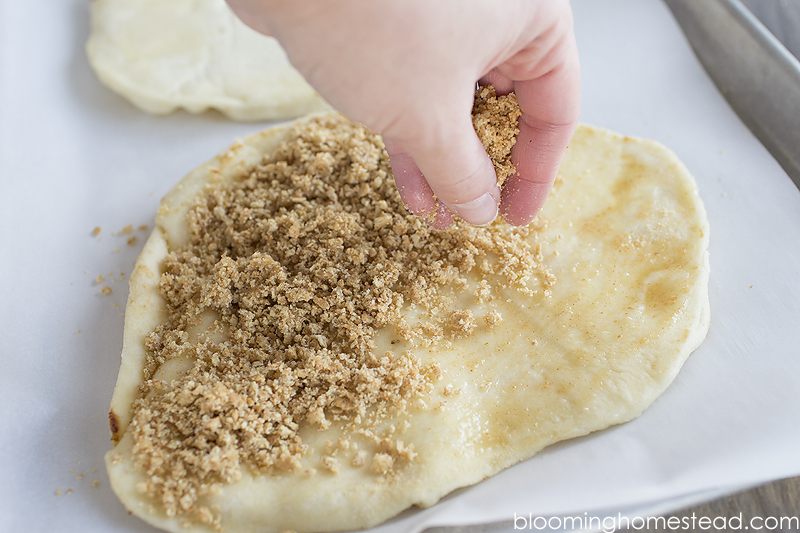 Mix the graham crumbs, sugar, salt, and remaining melted butter together and spread over naan. Now pile on those marshmallows! 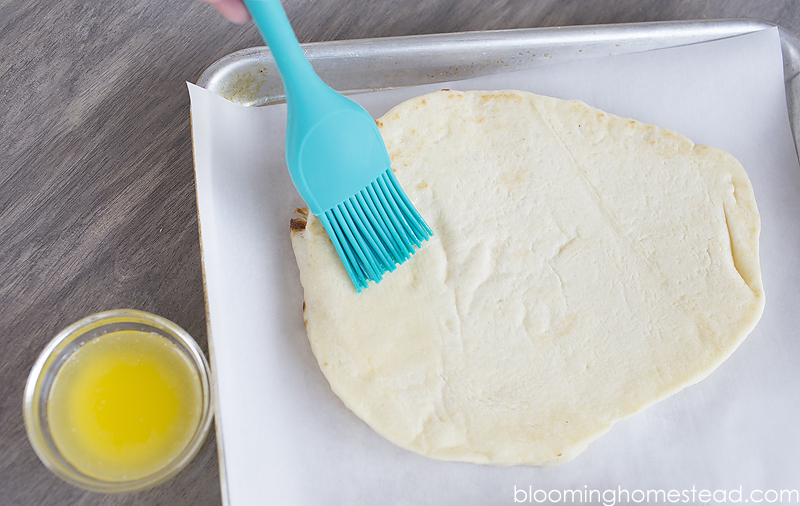 Brush melted butter over surface of the Naan. 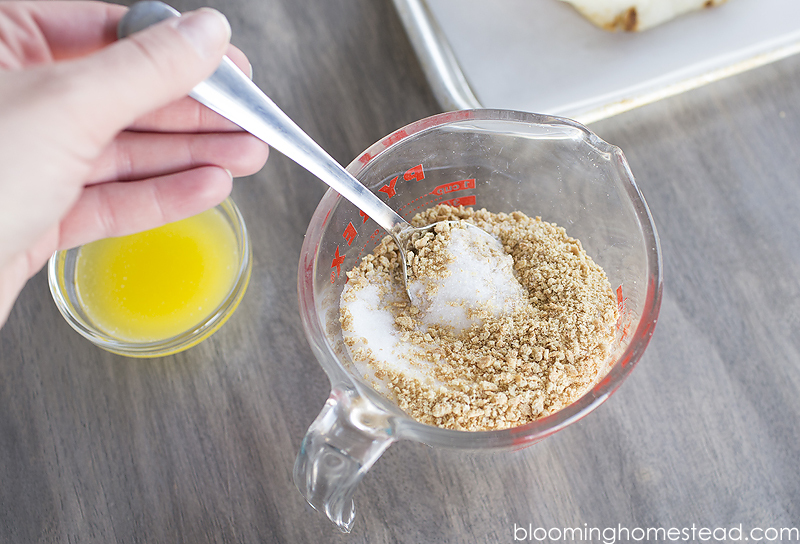 Mix graham crumbs, sugar, and salt, then add remaining melted butter. Spread graham crumb mix over bread. 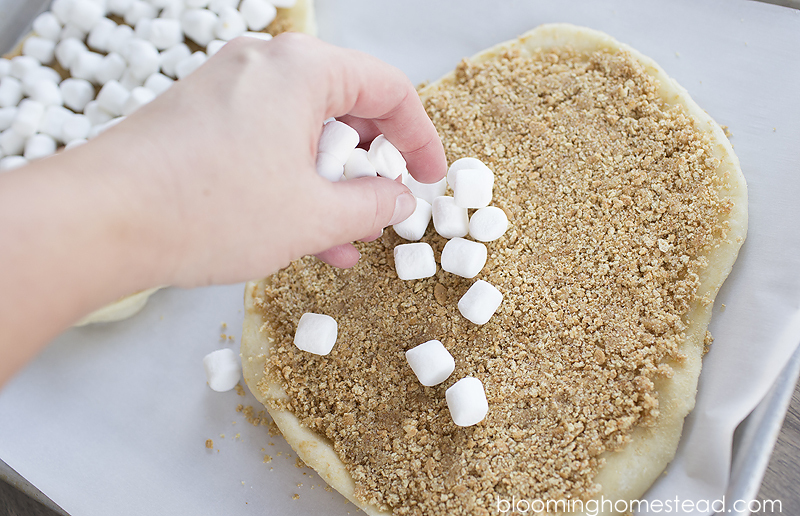 Add on marshmallows to cover crumbs. 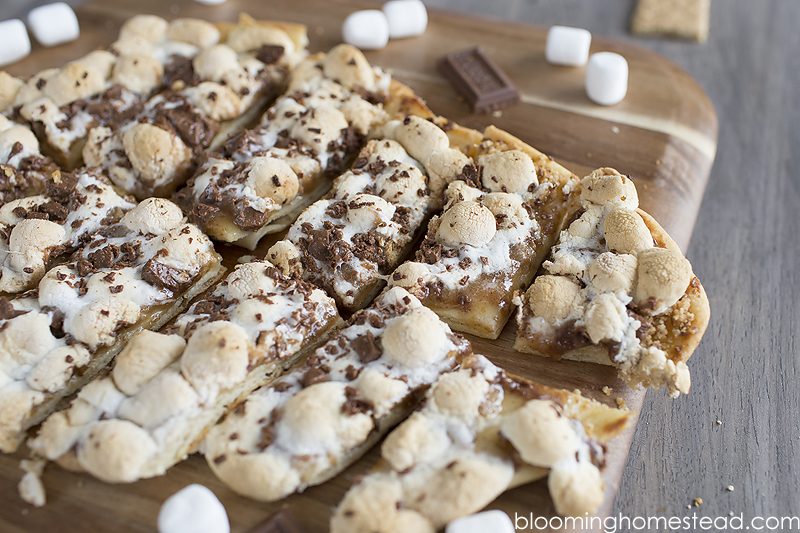 Cut 1 chocolate bar into small chunks and spread over marshmallows. 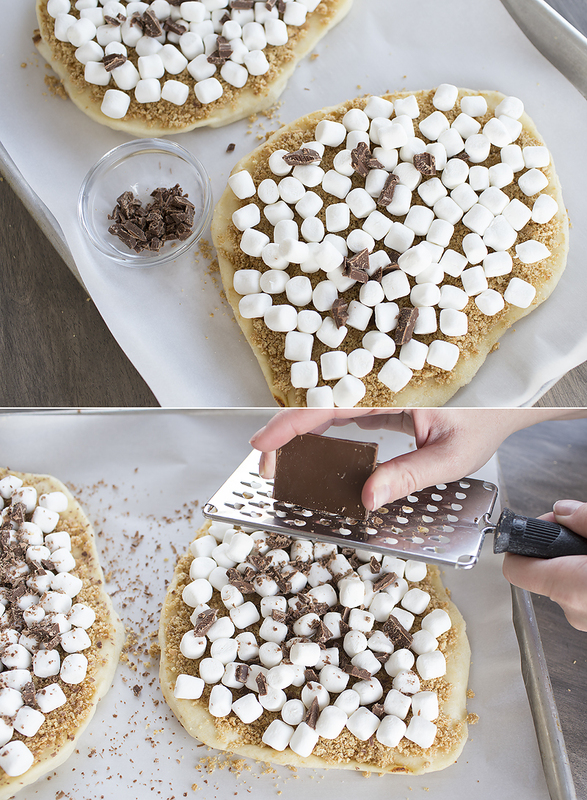 Use grater to shave remaining chocolate bar over marshmallows. 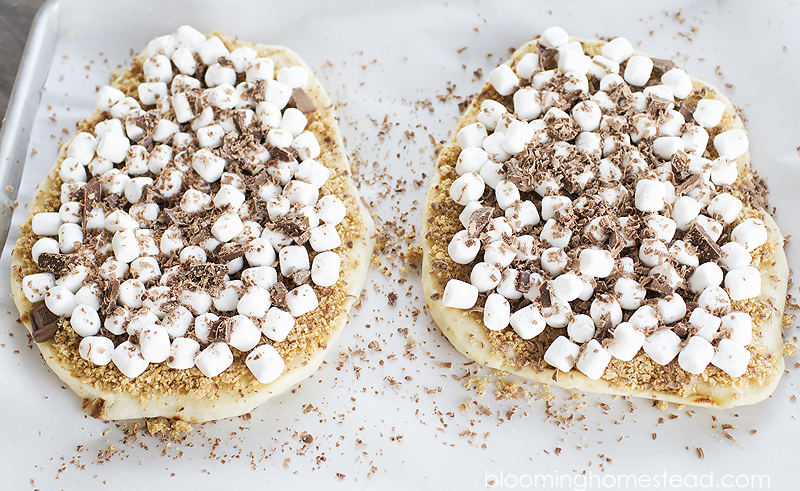 Bake in oven at 350° degrees for 8-15 minutes until marshmallows are golden brown. Looking for more innovative, easy, and yummy Game Day recipes? Find them at Stonefire Naan at Stonefire.com/Recipes and be sure to grab Stonefire Naan coupons here. You can find different varieties of Stonefire Naan (like original, original mini, whole grain, garlic, ancient grain and ancient grain mini) in the bakery section of your local Publix, Ralphs, Ahold, and Giant grocery stores. #HelloNaan!